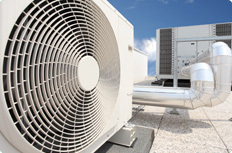 Southwest Air Conditioning and Heating is ready to meet your residential and commercial air conditioning, heating and refrigeration needs. We are licensed and insured and have been serving South Texas home and business owners since 1985. 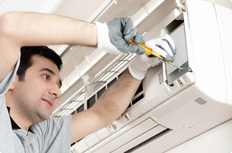 We are well-versed in all standard types of air conditioners, heaters and refrigerators, servicing and maintaining all makes and models and cater to the climate here in South East Texas. We use the latest technology to ensure your equipment is correctly sized for the heating and cooling load of your project. Let us help you save money and make your home or business a more comfortable environment. 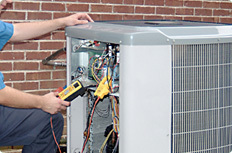 We work hard every day to be the best Heating and Air conditioning Company in South East Texas. We strive to take all the feedback from our customers and apply it to build an even stronger company. Our promise is to provide quality work in every application- whether it is residential, commercial, sales, service, installation, indoor air quality, or new construction. We offer sales and installation of new systems only if truly warranted or needed as we are not salesmen by trade. We offer no hassle service and will explain everything in detail in terms you can understand so that you are comfortable with the decisions you make. We offer honest service, fair prices, and quality work.